You have two years to sue a private bus company for an accident and one year to sue a public bus company for an accident. 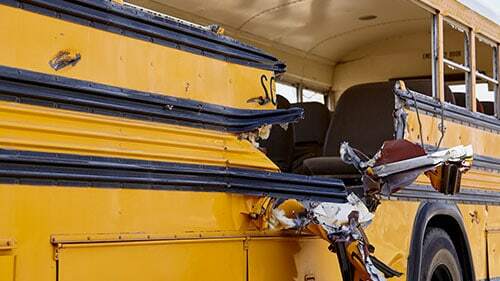 What Does Accrual Mean In Bus Accident Litigation? Do People Ever Get More Time To File Their Bus Claims? Want To Know About Other Challenges That Await Your Bus Accident Claim? A cause of action accrues when an injury and its cause are discovered or would have been discovered with reasonable diligence. For instance, if you were involved in a bus accident and broke your arm, then your cause of action would accrue immediately because you presumably realized your injury and connected it to the incident simultaneously. However, if you were involved in a bus accident but later learned that you suffered brain damage, then your case would begin to accrue once you realized these injuries. The significance of this is that the time clock on the statute of limitations also starts to run when your case begins to accrue so you need to start assembling your case. Yes, in certain instances, Illinois law gives people more time to file their bus accident claims. Generally, children are given a few years beyond the age of majority to pursue recovery for injuries that they sustained in bus accidents. People that don't reasonably discover their injuries for some time are also given an extended period to file their complaint for damages. Finally, if defendants conceal the extent or nature of any injuries or damages, then plaintiffs will also be able to file after the original two-year period. To learn about whether or not you will have more time than is traditionally granted to bus accident victims, contact our law offices. We can identify your filing deadline and help you prepare your case. Rosenfeld Injury Lawyers LLC helps victims of personal injuries in Illinois understand the challenges that await their claims. If your involved in a bus accident, we can do the same thing for you. Plus, we can even help you bring your claim on a contingency basis so that you don't have to pay a nickel until you are happy with the award or settlement. To hear more about how we can overcome any hurdles that your bus accident lawsuit presents, call Rosenfeld Injury Lawyers LLC today.